You also get a free treatment with the Membership Card! 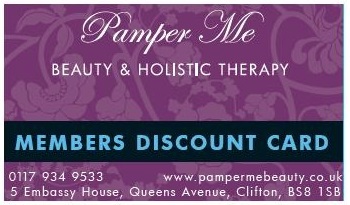 There are some extra discounts for Monday’s and Tuesday’s on specific treatments as well….. The 30% all week Membership Discount Card is available to NHS Staff, Students, University Staff & Emergency Services on production of valid ID.